Check out these two pieces of Zelda fan-art created by deviantART user gwendybee. 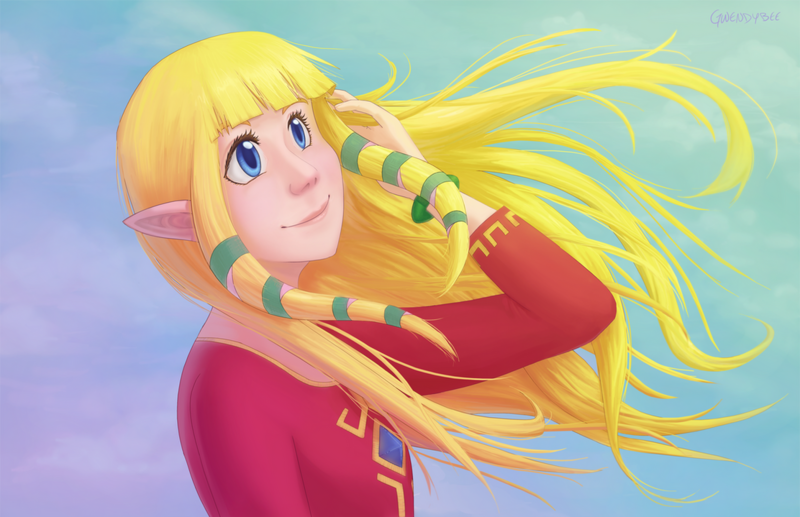 This artist took inspiration from the latest Zelda title, Skyward Sword for the Wii. Here you can see Zelda looking graceful in her Skyloft get-up, whilst Link's doing a perfect "death glare" expression.